While planning my trip to Iceland, there were no shortage of blogs and websites listing sights to see and stuff to do. I found very little information, however, on ways to ensure my travels were as close to zero waste as possible. Zero waste is hard while at home, but is demonstrably harder while traveling. As you will read below, Iceland was no exception. There are so many variables to zero waste, so I don’t make any claims as to where any of these items fall on the waste spectrum. Instead, I leave it up to you, the reader, to determine how best to use this information. I did my best to organize this document in as logical a fashion as possible; from packing for the trip, to lessons learned. My hope is that you avoid some of the mistakes I made, which in turn should help you both save money and minimize waste. I prefer to travel light and opted for taking a carry-on bag and tote bag only. Iceland averages between 30 and 50 degrees Fahrenheit, winter and summer, respectively, so clothing matters. *Be mindful of airport security best practices. A small glass jar or tube labeled “toothpaste” will get you much farther than an unmarked jar of baking soda. Airport security looks for things that are out of the ordinary, and most zero wasters fit the bill. Understand their perspective when packing. The best way to avoid generating waste while in transit is by packing snacks for the airport and plane ride. You should also have a reusable water bottle handy for the flight to avoid drinking bottled water in a disposable cup on the airplane. NOTE: Food must be dry to be brought through airport security. Nuts, trail mix, fruits and sandwiches are all good options. Make sure your water bottle is completely empty for airport security. Once through, refill your bottle for the flight. Some airports have great refill stations, whereas others do not. The official currency of Iceland is the Krona. As of February 17th, 2017, the exchange rate was 110.55 ISK to $1 USD. While this might sound like a favorable ratio, everything in Iceland is expensive. I had brought 20.000 Krona with me (about $181.00), just in case. I quickly realized that cash was not at all necessary, as every business accepted credit cards. For event the smallest transactions, cashiers were quick to present me with the standard mobile credit card terminal. NOTE: Krona notes come in denominations of 500 or higher. US banks will not exchange coins, so try to spend those one through 100 Krona coins prior to coming home. Credit cards are the preferred method of payment in Iceland. There are probably rare occasions where having cash would have made sense, but in my 10 days abroad, I didn’t need it. Some credit cards add a surcharge to every purchase (usually 3%) called a Foreign Transaction Fee; many do not. These fees can add up, so make sure you travel with a card that doesn’t assess this fee. If you haven’t done so already, request a PIN from your credit card company. They will send you a piece of paper in the mail with a four-digit PIN on it. Allow at least a week for this to arrive. Most transactions do not require a PIN, but purchasing gasoline does. If you are planning on renting a car, you will save yourself a lot of headache by having a PIN. Without a PIN, you must purchase pre-paid gas cards, which, like a credit card, are made from PVC plastic. Over the course of my trip, I found myself stuck with three of these cards. Grocery stores always print out receipts automatically. Most restaurants, retailers and other businesses ask if you would like a receipt. All businesses seem to use the same credit card terminal, and every transaction seemed to require signing a paper receipt. Flybus: This private bus company operates direct service between Keflavik (KEF) Airport and the BSI Bus Terminal in Reykjavik. From there you can take a connecting shuttle or walk to most hostels and hotels. One-way fares are 2.500 ISK, or $22.60. There is a slight discount for purchasing a roundtrip ticket. NOTE: The public bus also offers services to/from Keflavik Airport, but there was a gap in its schedule that seemed to coincide with both my inbound and outbound flights, requiring use of the private bus. Straeto: This network of public busses operates throughout the Greater Reykjavik area. A one-way fare is 350 ISK ($3.17), with no change given. Free transfers (a piece of paper) are provided upon demand when paying for your fare. Download and use the Straeto App for iPhone or Android to pay your fare electronically, potentially saving paper and the need for cash. Taxis operate in personal vehicles that display a taxi sign on the roof. Payment can be made with cash or credit card. Uber and Lyft do not operate in Iceland. Flybus offers daily bus tours to a variety of places. These can be nice if you don’t want to worry about planning an agenda or driving a car. I decided to rent a car so that I had the flexibility to come and go as I pleased, stopping to check out features for no other reason than I wanted to. NOTE: If you are planning to visit the Blue Lagoon, you must make a reservation at least three weeks in advance. 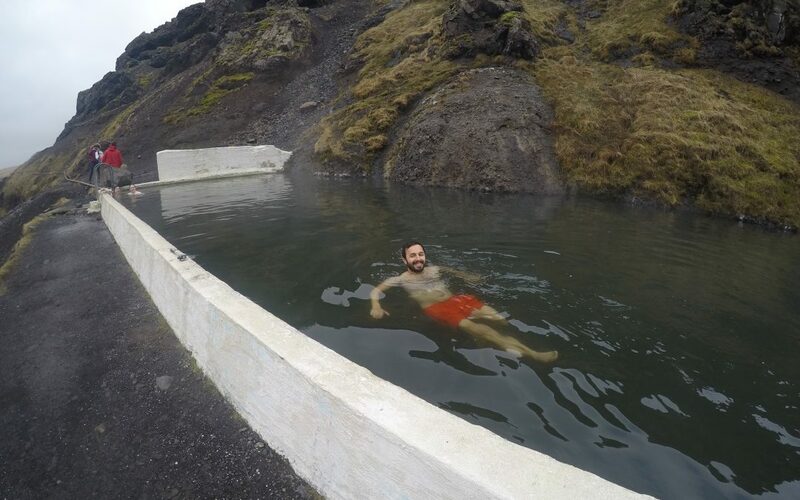 The Blue Lagoon is closer to the airport than Reykjavik, so if you aren’t renting a car, you can book a Flybus ticket that drops you off at the Blue Lagoon. If I could have had a do-over, I would have rented a car from the airport. As mentioned earlier, the only way to get from the airport to downtown Reykjavik is by private bus, which is expensive. Renting a car is the best way to see exactly what you want to see, which is difficult to do when on a bus tour. It also gives you the flexibility to pull off the road on-demand, should you see something interesting. I personally toured the Sólheimar Ecovillage and Agricultural University of Iceland, which wouldn’t have been possible had I not rented a car. Fuel in Iceland is expensive. Expect to pay around 195 ISK/liter ($1.76/liter or $6.70/gallon) for diesel or 205 ISK/liter ($1.85/liter or $7.05/gallon) for unleaded. I came across four different petrol station companies, but the two below were the ones I used. Orkan: Provides a card that is loadable and reloadable to any amount. They do not charge a deposit or fee for the card, but do ask that you return it when finished. N1: Sells cards preloaded in increments of 1.000, 3.000, 5.000 or 10.000 Krona amounts. They are not reloadable. NOTE: Not all petrol stations have attendants, which means if you are stuck in the middle of nowhere with an empty petrol card and no PIN for your credit card, you might have a difficult time refueling. Payment terminals do not accept cash. NOTE: In the US, unleaded gasoline has a green handle and diesel has a black handle. It is opposite in Iceland. Make sure you pump the proper fuel for your vehicle. (I feel like a broken record) Everything in Iceland is expensive, and restaurants are no exception. A bowl of soup is about $15, and a traditional Icelandic meal will set you back $60 to 80. Keep in mind that the minimum wage is about $14/hour and the value added tax (VAT)is 24%. Since a living wage is paid, gratuity is factored into the cost of the meal and not expected. Eating out just for the sake of it will add up quickly. I recommend staying somewhere with access to a kitchen so you can cook as much as possible. As I mention in the next section, most food items are available at the supermarket, fish market or butcher shop. Most restaurants had veggie options, but I didn’t come across too many vegan items. Keep in mind that food staples include lamb, whale, fish, horse and puffin, so don’t expect to find too many options. This is once again another great reason to cook food purchased at the grocery store. Let me start be saying this: nearly everything is wrapped in plastic. With the exception of candy, there were no bulk bins at Icelandic supermarkets. That being said, shopping in grocery stores is way less expensive than eating out. And, if you are interested in trying all the customary food that is unique to Iceland, you can buy it at the supermarket (the only exception is fermented shark [gross], which I didn’t see for sale anywhere except restaurants). I should also mention, and this goes for eating out in general, that just because you eat at a restaurant doesn’t mean it’s a zero waste meal. Many restaurants purchase produce and meats that are packaged in plastic. I say this so that you don’t feel quite so bad about buying something in a package that you can normally source sans plastic. Iceland has some of the cleanest water in the world. It was absolutely delicious. Bonus is what is known as a discount grocery store and is where I did the majority of shopping. Look for the yellow sign with the pink pig, or Piggly Wiggly, as I heard it referred. Fiskbúðin (https://goo.gl/maps/ynMpB6gSVrS2): Literally translated as fish shop, this was the only store I found where purchasing seafood in bulk was possible. Matarbúrið (https://goo.gl/maps/aJ6cQp1N8Zt): Food pantry, or culinary, depending on translation is a butcher shot where purchasing meat in bulk was possible. Iceland has very few police officers and a zero tolerance for drunk driving. As a result, alcohol is very heavily taxed. A pint of beer will run you 1.200 ISK ($10.85) in a bar, and expect to pay 2.000 ISK ($18) for a cocktail. Alcohol is only available for purchase at state-run bottle shops, so it is recommended that you pick up alcohol from the duty free shop at the airport before heading into town. Everything is expensive in Iceland, and clothing is no exception. Anything that is made is Iceland is expensive because it was most likely made by hand. Anything that is not made in Iceland is expensive because it was imported, traveling a great distance. A pair of handmade knit wool gloves or cap will set you back a minimum of $50; a wool jacket is more like $200. If you insist on buying something while in Iceland, I highly recommend checking out one of the many second hand stores, including three Red Cross locations. I, for example, purchased a used wool beanie in great condition for 2.500 ISK ($22.61). Icelandic people start learning English from an early age, but be mindful of their tradition of speaking their language with themselves. Many people, especially in the rural areas, might not be as fluent in English as those from the City. Iceland is a very safe country. I observed parents leaving their babies in strollers outside coffee shops while they enjoyed espresso with a friend, and young children walking to school, alone, in the dark. The speed limit on Iceland’s only highway is 90 Km/h, or 56 MPH. For the most part, everyone obeys this; no one appears to be in a rush. Tourism has tripled in the last six years, which means it is more important than ever to respect and obey their laws and customs. I live in a California bubble with year round access to package-free produce. Other parts of the world (and my country) are not like that. If I had to guess I would say that 95% of food items in Iceland come in an unavoidable package. Cook more; eat out less. A majority of Iceland’s staples are available in grocery stores. Save a ton of money by preparing lunches and cooking dinner at your accommodation. In the words of my walking tour guide, “There is no such thing as cold weather, just bad gear.” Pack accordingly or you will spend a lot of money on clothes. Rent a car from the airport. It will save time and money picking it up and dropping it off. Renting a car will give you the flexibility to see what you want to see, when you want to see it. Take it easy. Relax. There is so much to see, but there should be more to your vacation than checking landmarks off of a list. Take a deep breath and enjoy each moment. All waste and recycling that enters the US via an airplane is incinerated. 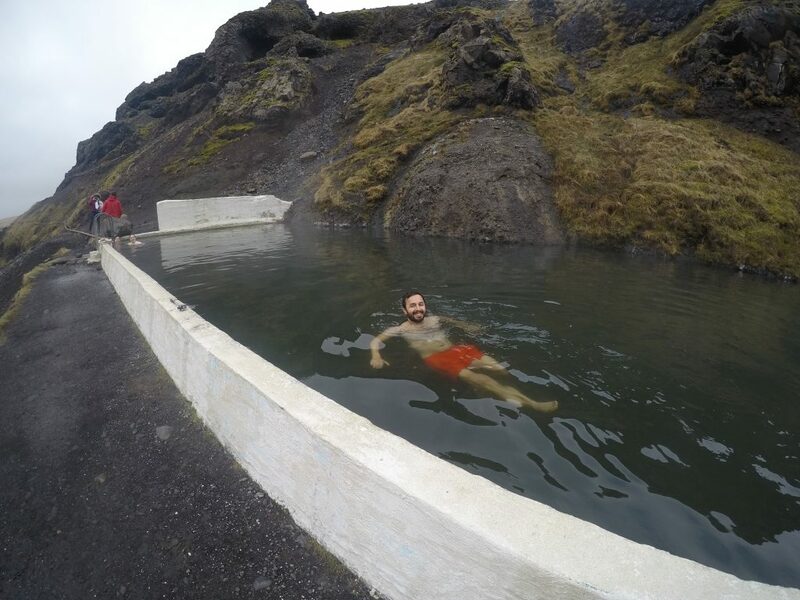 There were so many lessons learned from my journey to Iceland. I found an abundance of information online, detailing sights to see and stuff to do, but I found no information on how to make this journey as sustainable as possible. 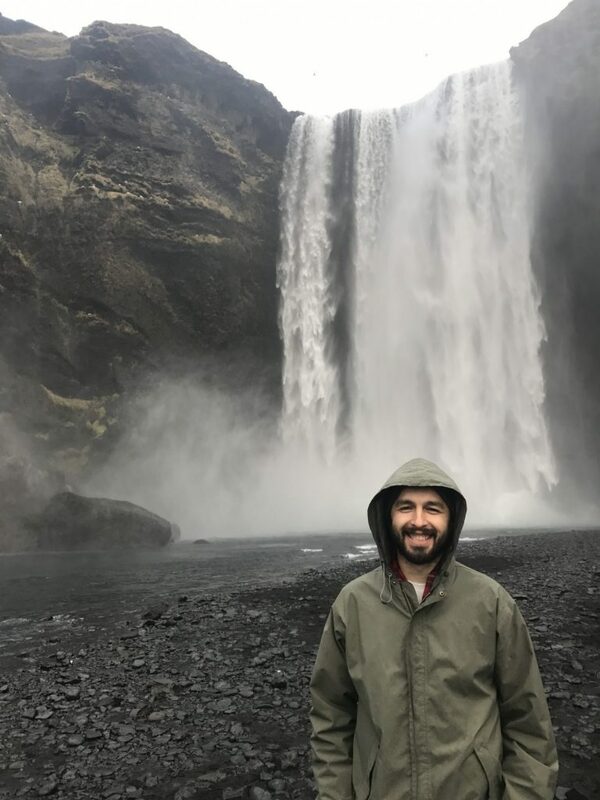 Fortunately, I have created the Zero Waste Travel Guide – Iceland! I have made it available for free. Simply follow this link to Google Drive where you will be able to view, print or download this guide, as necessary. I look forward to hearing your feedback. Was this guide helpful? Was it missing anything? Comment or message me anytime! Jonathan Levy is a environmental consultant who focuses on developing and implementing zero waste plans for businesses and municipalities. When he is not consulting, Jonathan is a blogger and social media influencer as Zero Waste Guy, where he shares tips and tricks for living a zero waste lifestyle. I cannot wait to utilize and promote this guide on my upcoming trip to iceland! Thank you for this source and for all the awesome work you do for Zero Waste! I’m glad you enjoyed it! Let me know if you have any questions or comments! I will have a stop over in Reykjavik in few days and I am trying to be zero waste, so thank you for the article! Sorry for the delay. If you haven’t yet been to Iceland, good luck! If you have, please let me know how it went!